Happy new year everyone! I hope you had a great winter. I am back from a little trip to Iceland, where I saw amazing creatures and wonderful landscapes (listening to Ólarfur Arnalds for full effect). 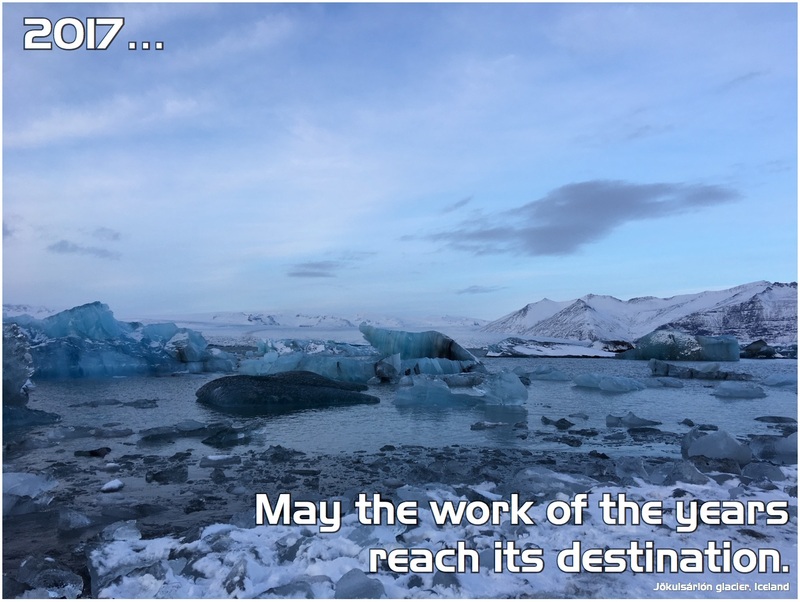 In the picture, you have possibly the most beautiful place I’ve seen, the Jökulsárlón glacier – hence those little new year wishes: like the ice that has been distilled by the years and inches forward to the sea, may this new year bring your endeavours ever closer to fruition, while new inspirations slowly deposit from above.